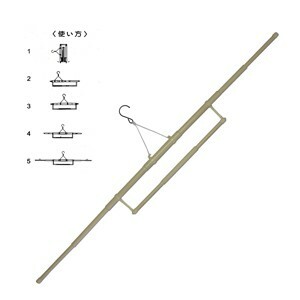 This adjustable hanger with extendable arms is ideal for hanging your yukata or kimono. The picture shows the hanger with the arms extended. The bar below can be used for hanging of an obi/belt. Folds to 31 x 12 x 4cm.